About — Detroit Comb Co.
Each Detroit Comb starts as a sheet of 304 stainless steel in our manufacturing facility just south of 8 Mile Road in the City of Detroit. Each stainless steel sheet is laser cut to produce each style of comb offered by Detroit Comb. Each comb is then hand finished and then manually stamped. Every Detroit Comb is produced, laser cut and finished in the USA. Detroit Combs are a permanent replacement for plastic combs. 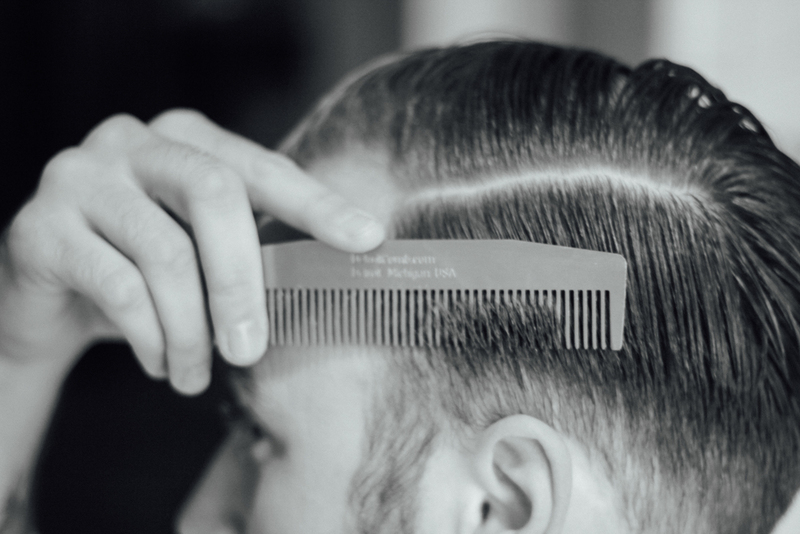 Once you experience the feel of a metal comb you will never even think of using a cheap plastic comb again. In addition to combs, we also offer fine leather sheaths in black and brown to beautifully protect your Detroit Comb. Each leather sheath is handmade in the City of Detroit by Douglas & Co., a family owned shop specializing in custom handmade premium leather products. We hope that you enjoy owning and using your Detroit Comb as much as we enjoy producing them. Thanks for visiting our website and enjoy your Detroit Comb ! !